Thank you so much to everyone who supported our raffle in aid of Cancer Care Nursing in memory of Mr Pat Hopper. The draw took place at the Kenneth Webb exhibition on Monday night and was a brilliant success with over €15,000 raised. 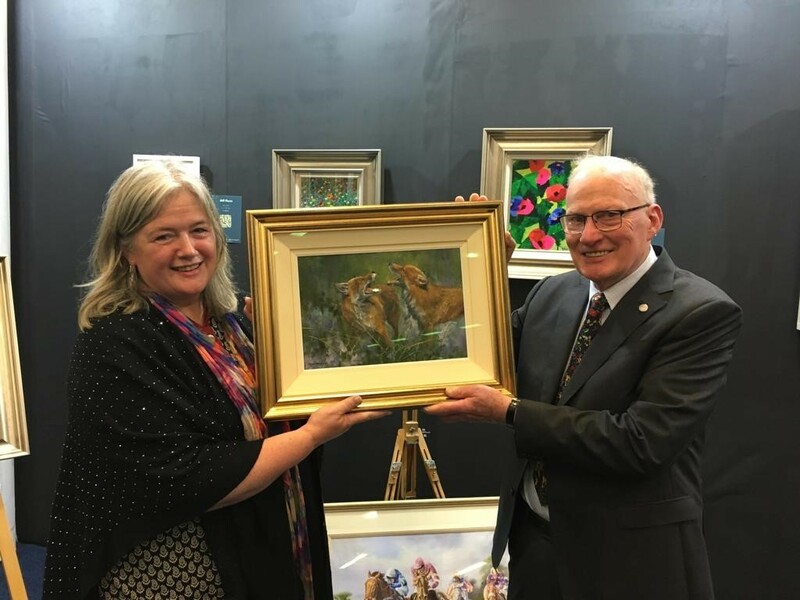 Congratulations to our winner Tony Walsh who won the beautiful “Foxes in Bluebells” painting by Susan Webb. Helen Garvey & Ailbhe Galvin also won prizes on the night. 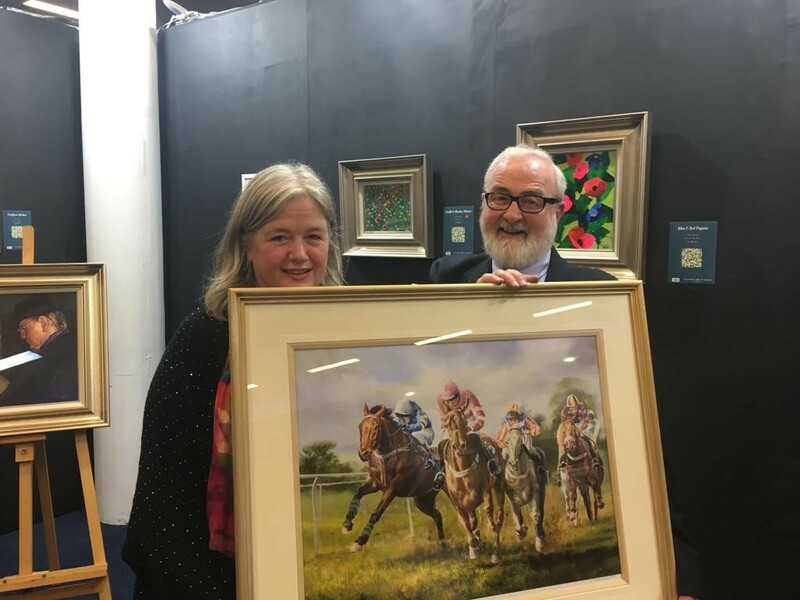 Draw will take place in the RDS on Monday 17th December 2018 at the exhibition of the artist Kenneth Webb and winners will be contacted on Tuesday 18th December. Many thanks to Anita Hopper who has organised this raffle in memory of Pat Hopper. Pat was the owner of the James Gallery in Dalkey/Dublin and was cared for by staff here at St James’s Hospital. 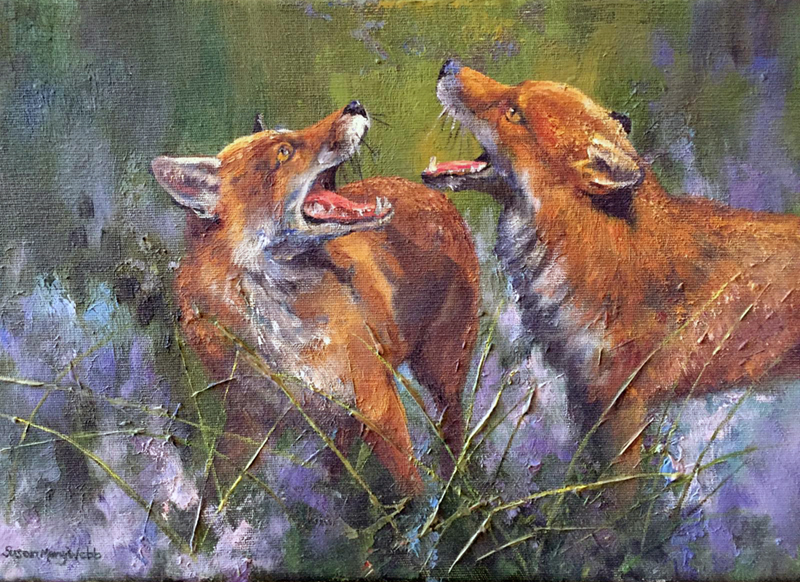 Anita has very kindly donated the beautiful “Foxes in Bluebells” painting by Susan Webb for this raffle. Pat Hopper, born in Claremorris, Co. Mayo, was the gentlest and kindest of men. His love of life and his caring disposition extended his personable influence to the many relatives and friends who became his companions. 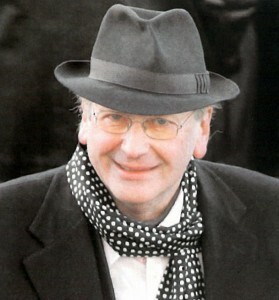 Pat’s love of art lead to him opening The James Gallery in Dalkey and later in Exchequer Street. He made his living from art and enjoyed the beauty of art around him and in the end it was the ‘art of nursing‘ that was his sustenance. Pat was so grateful for the care he received from the medical and nursing staff in St James’ Hospital. He was diagnosed with oesophageal cancer in April 2012 and died in the Donal Hollywood ward on 12 October 2014. He received such wonderful care for the duration of his illness and as a family we are so thankful to all the staff who cared for him. Susan Webb was born in Newtownards, County Down in 1962. Daughter of well-known artists Kenneth Webb and Joan Webb, she has carved out her own niche as a painter since her first exhibition with the Kenny Gallery in 1980. She is involved with the Equestrian Society of Artists, won the prestigious “Spirit of Galway” award for one of her fine equestrian paintings, and has shown with the Oireachtas, the Society of Women Artists, and runs solo exhibitions in Ireland and the U.K.
Susan now runs the Irish School of Landscape Painting, started by her father 40 years ago from her River Run Studio in Ashford, Co. Wicklow and from Ballinaboy. 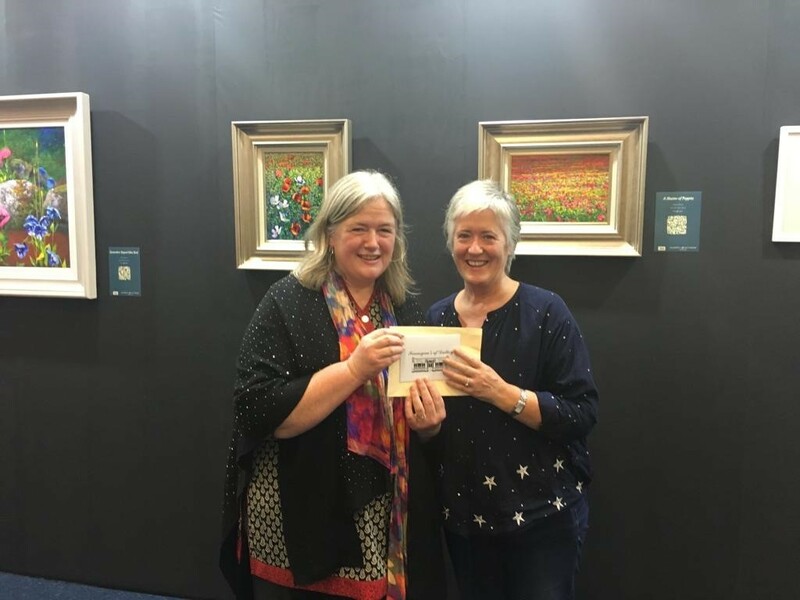 She has featured as resident Art Expert on Channel Four’s “Watercolour Challenge” programme which showcased her skills and talents to a huge audience. Horses have always been an important part of Susan’s life and so it was inevitable that she should try to capture their grace, beauty and movement on canvas. Many of these images were commissioned portraits, many were her own original ideas, all of them combined the art of equestrian painting with the art of landscape painting.